Odyssey Sims tries to squeeze past Sylvia Fowles, in pursuit of Lindsay Whalen, in the first half of Game 2. Photo by Jim Mone/AP. Minneapolis – The Minnesota Lynx struck back Tuesday, edging the Los Angeles Sparks in the closing seconds of WNBA Finals Game 2, 70-68. Sylvia Fowles led all five Minnesota starters in double figures with 13 points and a Finals-record 17 rebounds to even the series at one game a piece. It was a matchup that was eerily similar to Game 1, but this time it was the Lynx who vaulted to a big lead in the first quarter, which they stretched to a 45-26 margin by halftime. 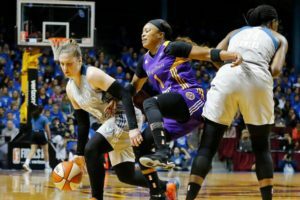 But the Sparks fought their way back into the game in the third quarter and clamped down on defense, limiting Minnesota to 15 points. Candace Parker’s two free throws with 33 seconds to go cut the deficit to two points. 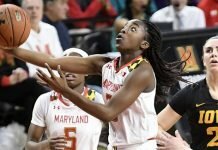 Maya Moore missed a jump shot, which gave the ball back to Los Angeles, but Alana Beard couldn’t inbound the ball in time. The Lynx then had an inbound miscue, which turned the ball back over. Seimone Augustus sent the ball out of bounds almost immediately, and on the Sparks’ final possession, Odyssey Sims tripped and Rebekkah Brunson stole the ball. 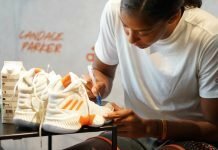 Candace Parker led Los Angeles with 17 points, all scored in the second half, and Chelsea Gray scored 15. 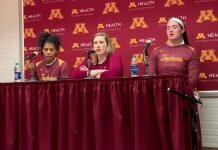 Minnesota coach Cheryl Reeve saw improvement in her team’s performance from Game 1 to Game 2. Parker said that the game could have gone either way. Game 3 will be Friday in Los Angeles, and players and coaches from both teams expect another fiery showdown.